I know—you don’t need another thing to do on the weekend, especially for something that seems as inconsequential as snacking. But the truth is, taking a few hours on a Sunday to do a little prep for easy snacks is worth it. Especially because with ready-made, healthy-ish snacks on hand, you’re less likely to reach for the options that will make you regret snacking in the first place. 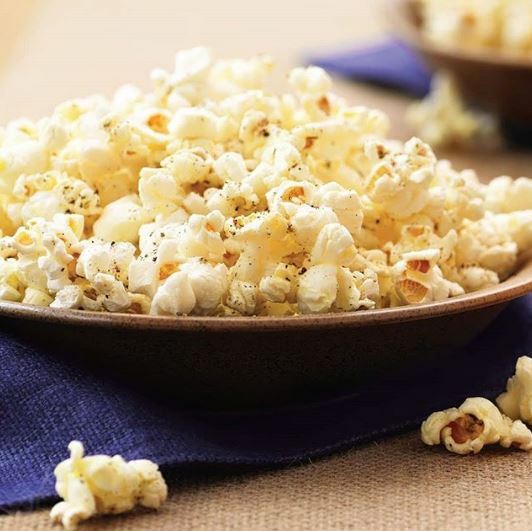 So whether you want a batch of flavourful popcorn for a Sunday afternoon viewing in your living room, or you’re hoping to beat 3 PM weekday hunger with veggies and dip, here are a few ideas for your snack prep. Just try to not eat it all at once, okay? Probably the simplest recipe in Angela Liddon’s Oh She Glows Everyday cookbook is the roasted tamari almonds. I couldn’t believe how tasty this two-ingredient snack was. (She says it’s a topping, but I definitely ate a snack size portion as soon as they cooled.) The idea is simple, and a great way to elevate something you might be bored of. Simply roast nuts (almonds, cashews) or seeds (pumpkin, sunflower) with simple sauces or spices for a surprisingly tasty and quick snack. So I know that calling cookies healthy is a stretch, even if they do have healthy ingredients. But, it’s got to be better than eating a package of double-stuffed Oreos, amiright? 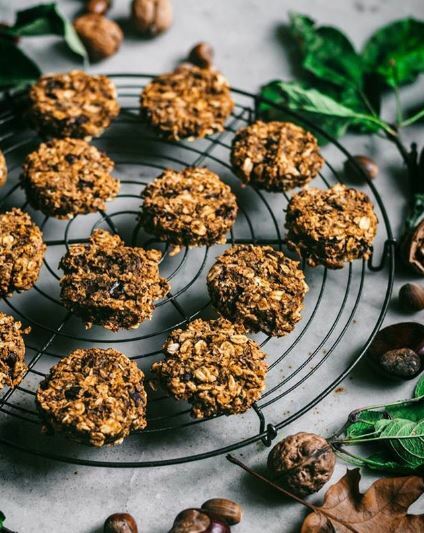 Look for recipes that include plenty of nuts and oats, with sweetness added thanks to fruits (think cranberries, dates) instead of processed sugar. Making these items form scratch is great because if you’re looking for ways to accommodate a restrictive diet, these can be perfectly tailored to suit for paleo, gluten-free or high-protein snack needs. I’m a big fan of dips, sauces and spreads—I often think that other food is just vehicle for these tasty and rich flavours. But, dips don’t have to be unhealthy or choc-ful of mayonnaise or sour cream. One of my favourite dips to make at home is cannellini beans blended with roasted garlic (I use a whole pod) and some lemon zest. It’s simple, it takes barely any time to whip up and it’s super tasty on crackers or with fresh veggies. But don’t be limited by my 3-ingredient go-to. 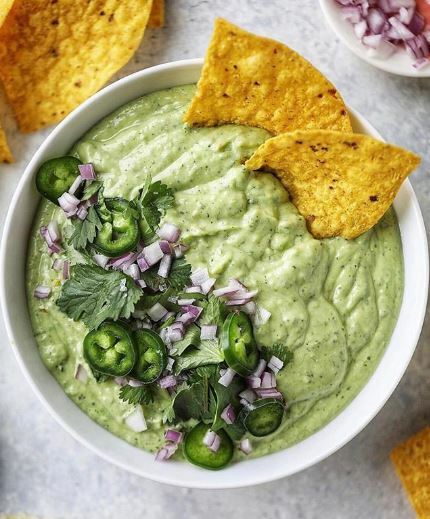 Instead try this jalapeno guacamole or make fresh salsa—you have plenty of options and making one batch on the weekend should keep you snacking for a few days. Bonus? This makes for a great and impressive party snack, that tastes just as good as its sour-cream-based counterparts. 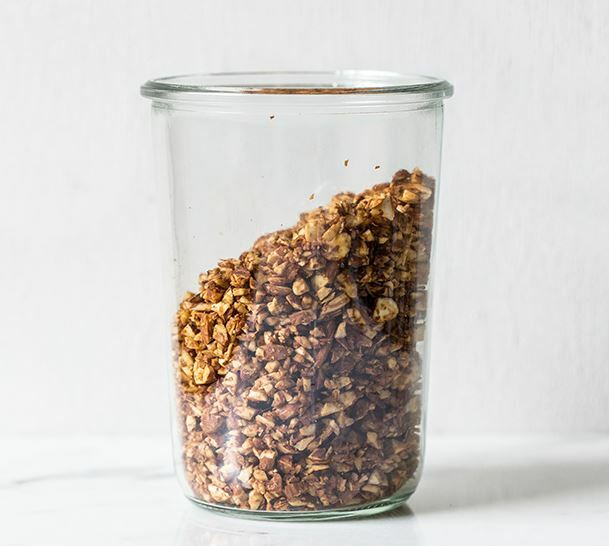 While granola is usually a topper for fruit and yogurt, there’s no rule that says you can’t just snack on it whenever you want, sans base. Sort of like swapping out that bowl of Lucky Charms for something a little more—er—mature. Again, look for a recipe that minimizes added sugar and instead relies on honey or maple syrup to supply the sweetness, and consider out-of-the-ordinary ingredients like quinoa to add addition nutrients. 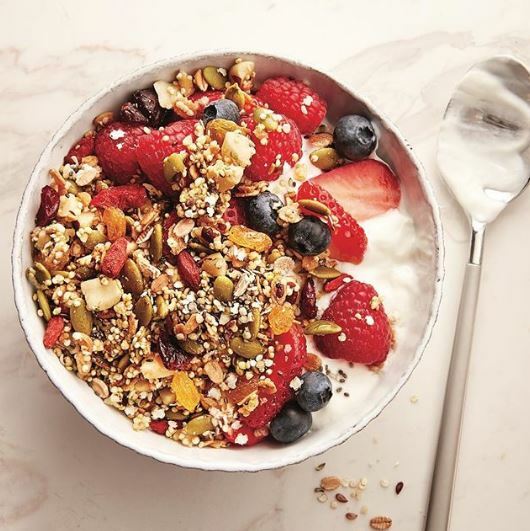 And, if you do find you prefer for granola with yogurt and fruit, then this doubles as a great breakfast too. Though, you’ll find this works as a great late-night snack if you need to satiate a sweet tooth. Popcorn is the perfect snack. It’s crunchy and salty and can take on pretty much any flavour—so it’s also perfect for tinkering with. Make a simple batch of stovetop popcorn and then decide which flavours to add. Something spicy? Try sprinkling cayenne, salt and garlic powder on your batch. Something fresh? Try salt, lime zest and finely chopped basil. The possibilities are endless.